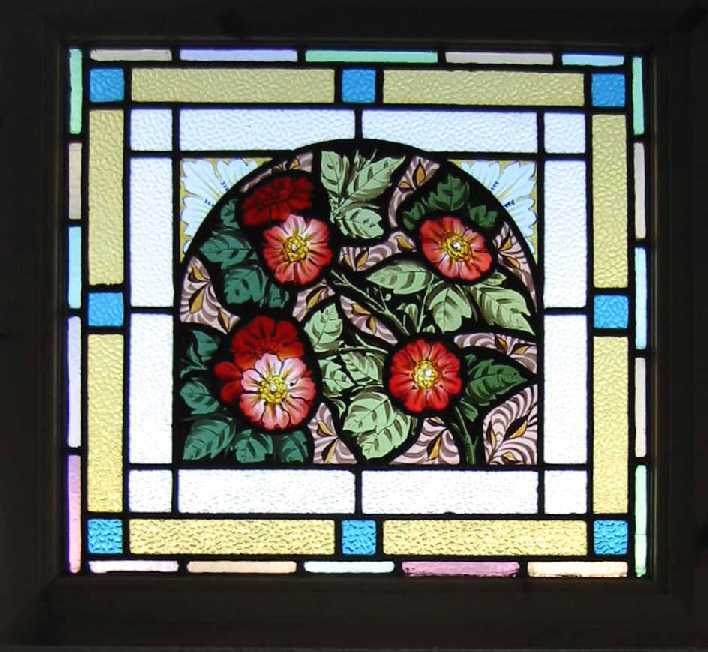 Stained Glass Medallion Window CIRCA 1890 This beautiful old window Has outlived its original frame and been placed in a simple unfinished pine picture frame for shipping and display. It was removed from a house in Lancashire during refurbishment. HAND PAINTED AND KILN FIRED THESE PIECES ARE BECOMING MORE RARE AND VALUABLE TO COLLECTERS. The coloured glass is of a heavy and deep texture and has no crack or chips This glass seems to glow with a light of its own in the half light at dawn or dusk or sometimes on a cloudy day. The hand painted picture in the central medallion is crisp bright with little sign of fading. The frame measures 26"W x 24"H . The glass measures 23 " x 21" This Antique Stained Glass Window Shipped and packed to USA would be $199 Including full insurance for loss and damage.You can buy this now by clicking on the credit card icons (Paypal if you prefer) below the photograph or e-mail sales click here to arrange payment by personal check ,money order or bank transfer.